Made by Lodge®, these lids are pre-seasoned and ready for use. Size 8 - fits size 8 skillets, Fryer and Dutch Oven. 10-1/4"OD, 4 lb. Size 5 - fits size 5 skillets, Serving Pot and French Fryer. 8"OD, 3 lb. 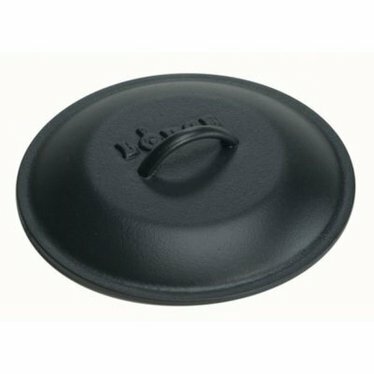 How to order lids-Our lids fit many other brands and styles of cookware. Size numbers vary and don't refer to diameter or quart capacity. Our "Size 5" lid fits our Size 5 skillet, but it might not fit yours. However, it will fit any skillet its size and up to ¼" larger. Be sure to check measurements!